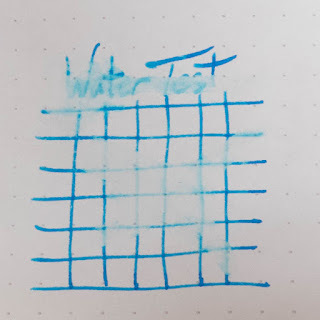 This pen is pretty great, and I've just reviewed it on my YouTube channel. 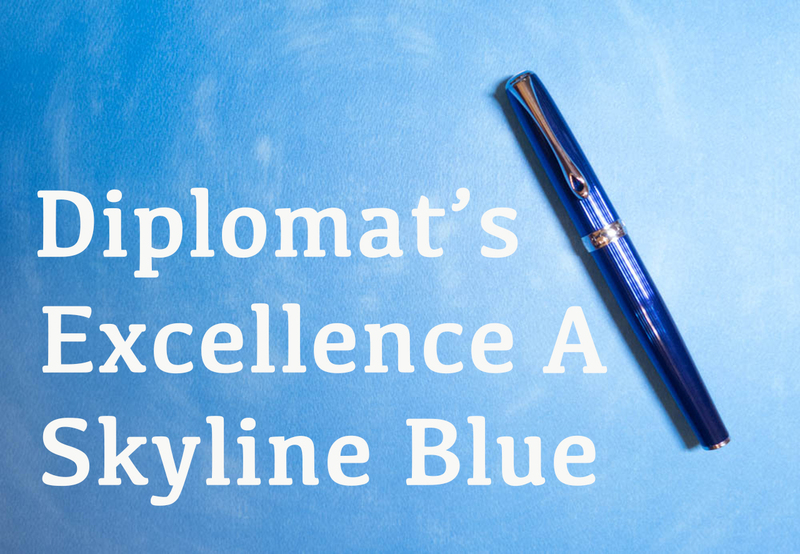 As a part of lending this pen out to be reviewed, Points of Distinction (the US distributor of Diplomat Pens) is also going to let me give it away to one of you! NOTE: I've enabled the comments so that anyone can comment. If you choose to comment anonymously, however, I won't be able to know that a comment is yours and I may not be able to credit you with that comment if you win based on that entry. 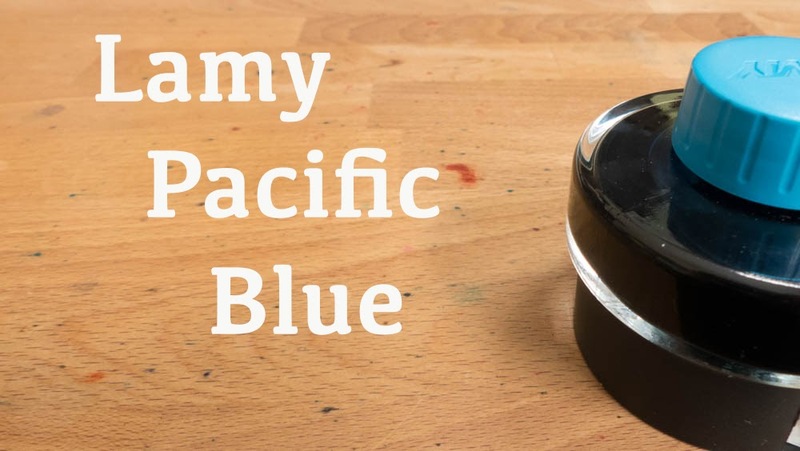 This was the first of the limited edition inks that Lamy released this year, and it didn't get nearly as much love as Petrol did. It's not because it's turquoise. 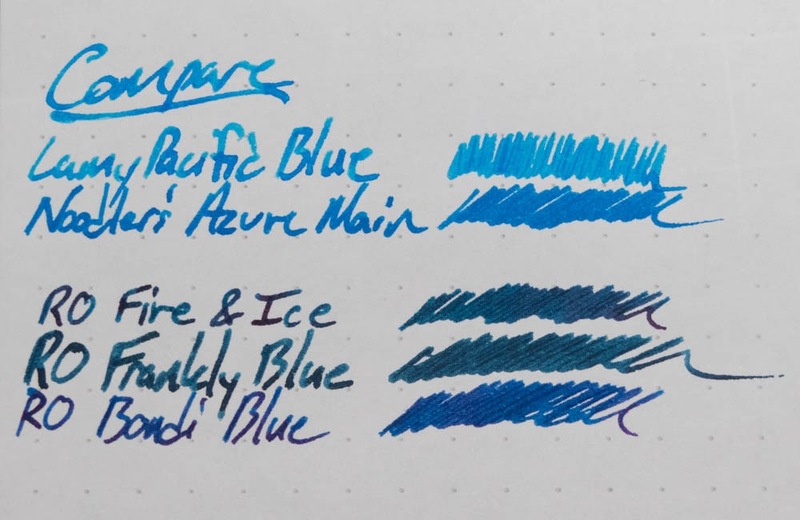 Turquoise inks are really hot right now. 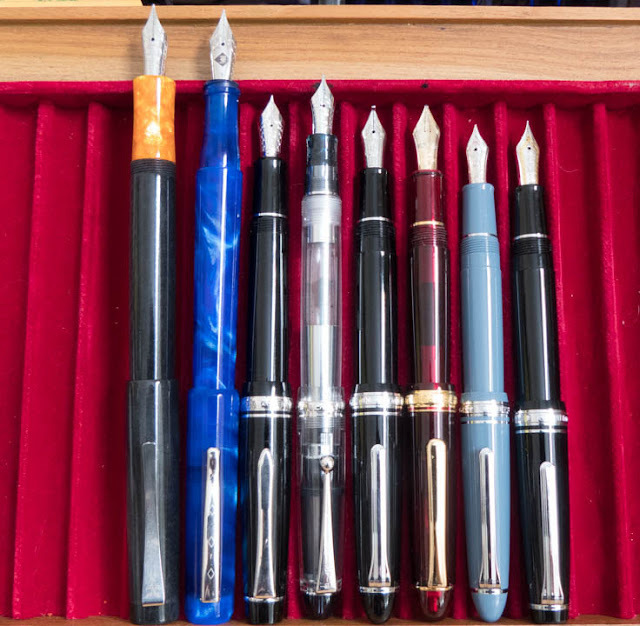 Especially ones that have some shading and sheen to them. It sort of had everything going for it. The matching Lamy Al-Star is beautiful. So why did it fail to grab the attention of the community? Well, because it was a really weird move on Lamy's part. 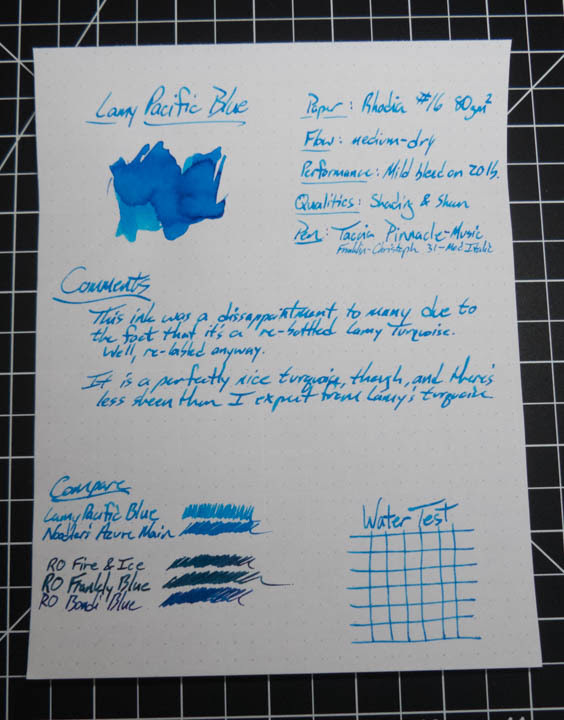 Pacific blue is the same ink as Lamy Turquoise. 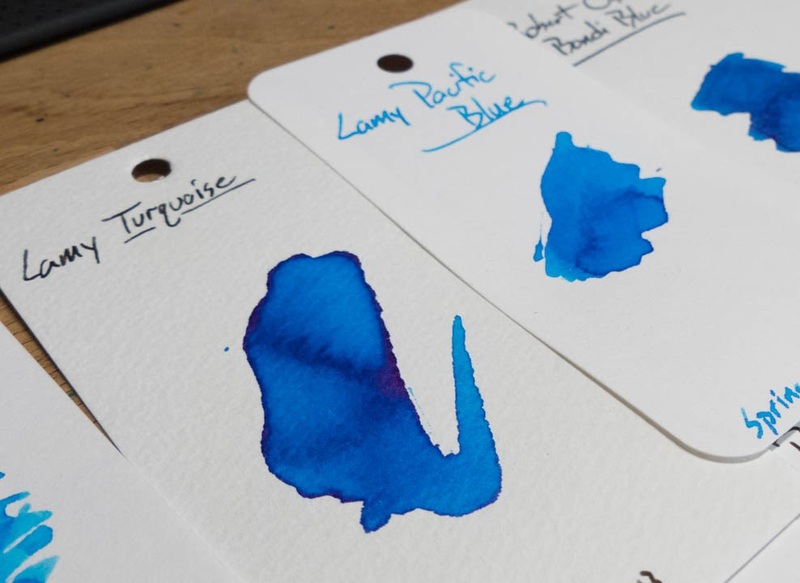 This was revealed by Lamy, but not before retailers had ordered it and the first shipments had gone out to customers. 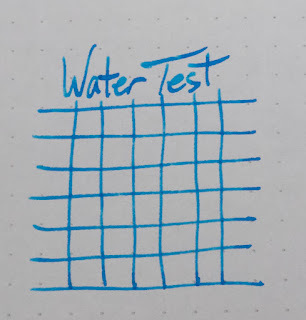 This left everyone feeling a little ticked off. Customers felt they'd bee mislead (and they had). Retailers probably felt the same way, and they were stuck with a bunch of ink that people might not buy because of this weird Lamy-move. By now, though, y'all know this. So, apart from it being the same as Lamy's Turquoise, how's the ink? Read on! Find your bottles at Anderson Pens or Pen Chalet where they go for $10.50 in a 50ml bottle. 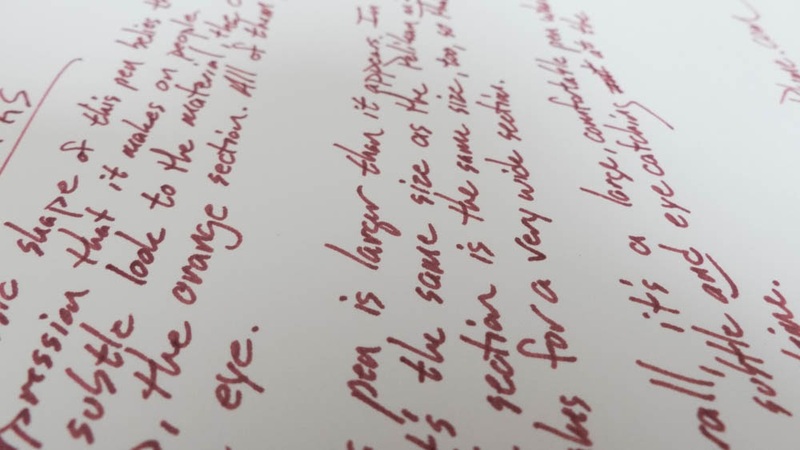 Some minor feathering and just a little bit of bleed on this paper. 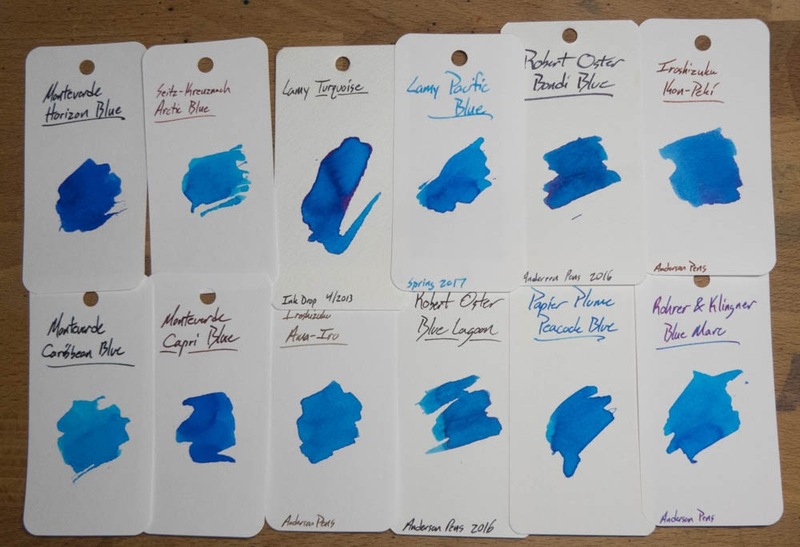 There are tons of inks in this color range. 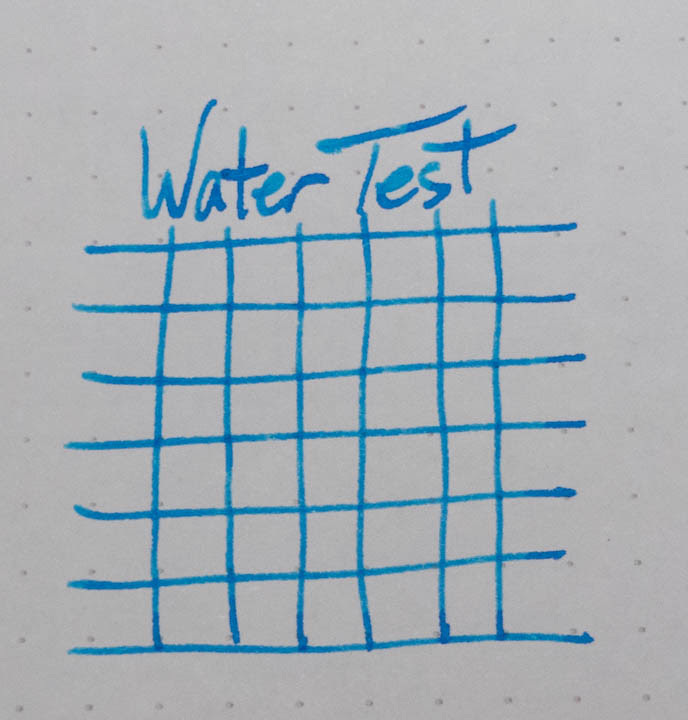 I only had one inked that was close, so I've included a bunch of others on Col-o-ring cards and Word Cards. 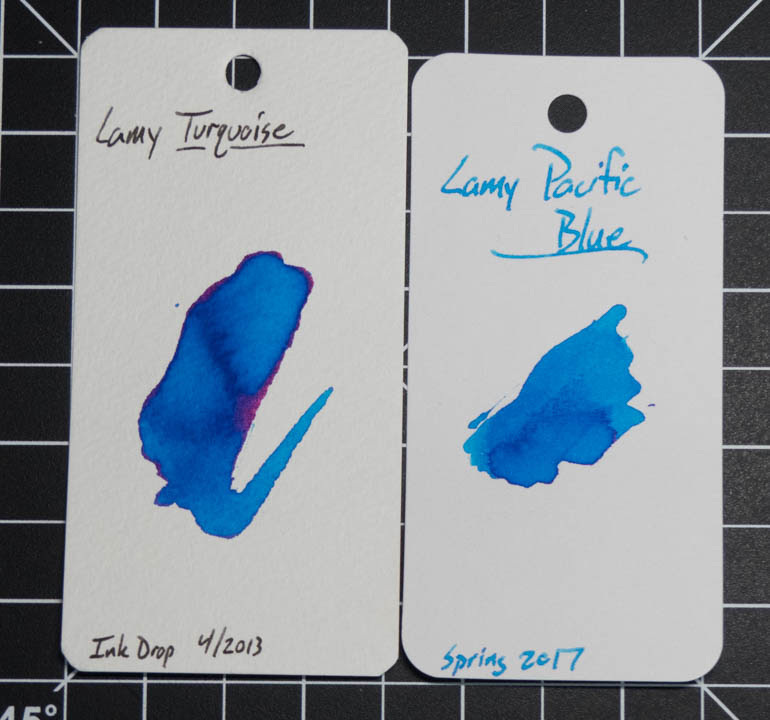 They don't look identical to me, but it could be that Lamy changed the formula for Turquoise in the last few years? Thanks for the loaner, Papier Plume! That's the Fred Faggionato PKS. 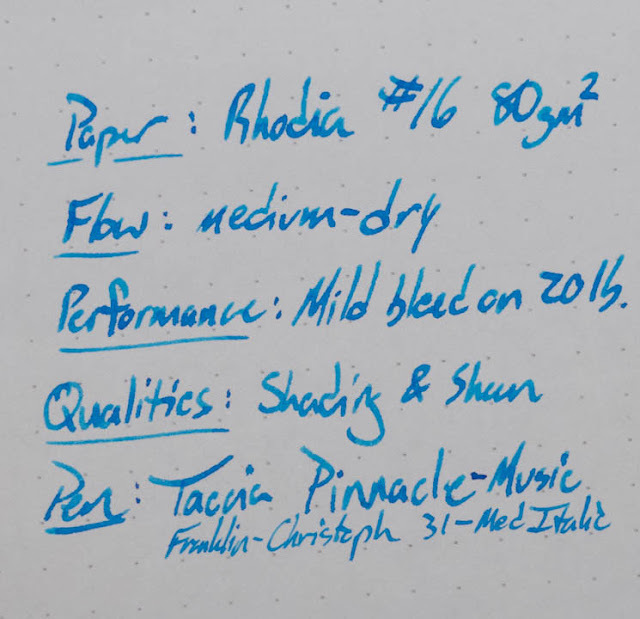 I've only seen this brand at Papier Plume, but it really caught my eye in an instagram post, and then again at the Chicago Pen Show. There's something about the aggressively swept clip and the awesome materials that really draws you in. In fact, this is one of those pens that even my non-pen-loving friends always seem to notice. 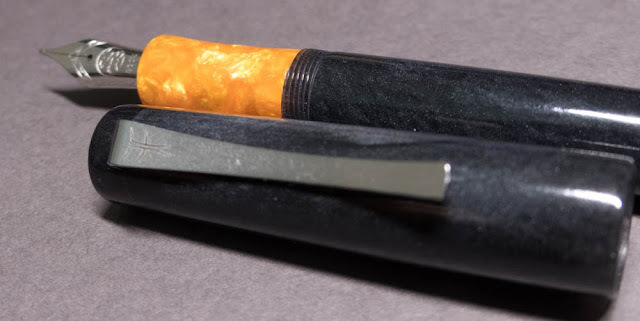 This particular pen is made of a Conway Stewart material in cellulose acetate. It's pretty awesome. There probably isn't all that much of this material out there, so snag these while you have the chance! 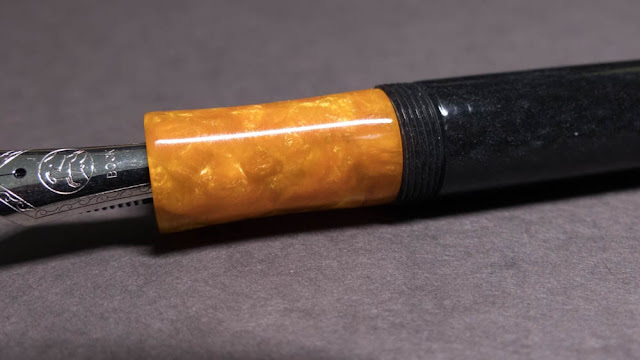 Read on to see more of this pen, and let me know what you think in the comments. Also, scroll down to the bottom for a link to the video review. 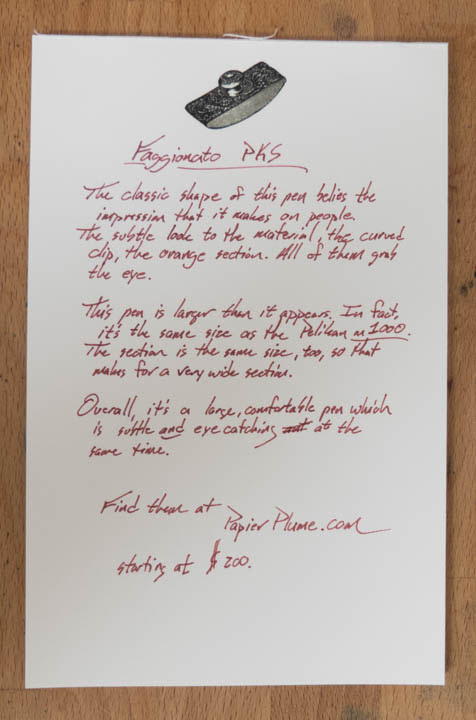 The clip is the only place on the pen that has any branding at all. That's some cool branding, too. It's also perfectly functional. 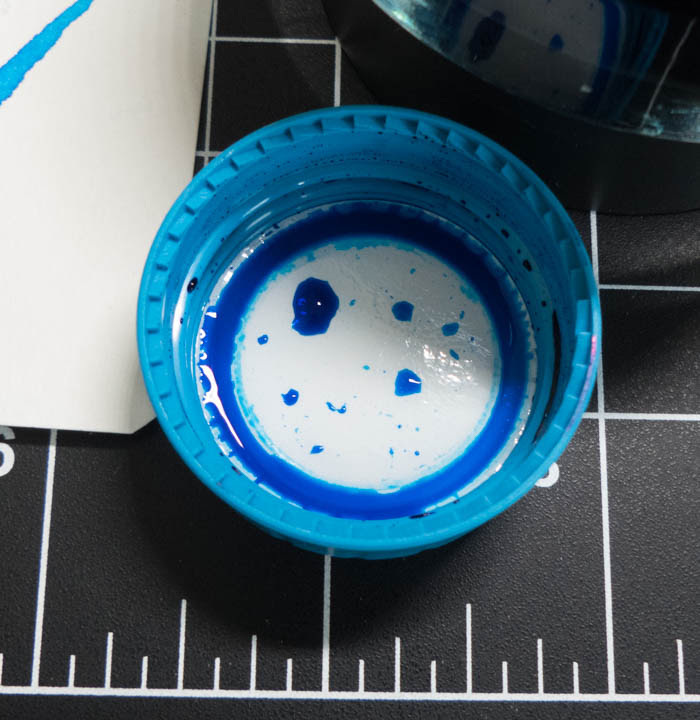 Isn't this material neat? In dimmer light you won't see the depth, pattern, or sparkle. Under some good light, though, it really stands out. Under the cap you find this awesome orange section. 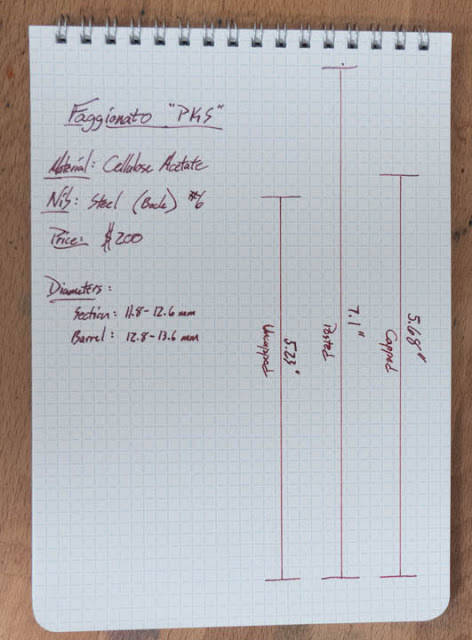 It's a thick section, at around 11.5 mm. That's bigger than any pen in my collection. Well, almost. This pen is the same size (almost exactly) as the Pelikan m1000. So, if you're looking for a pen with the size of an m1000, without the cost of an m1000, this might be your pen. 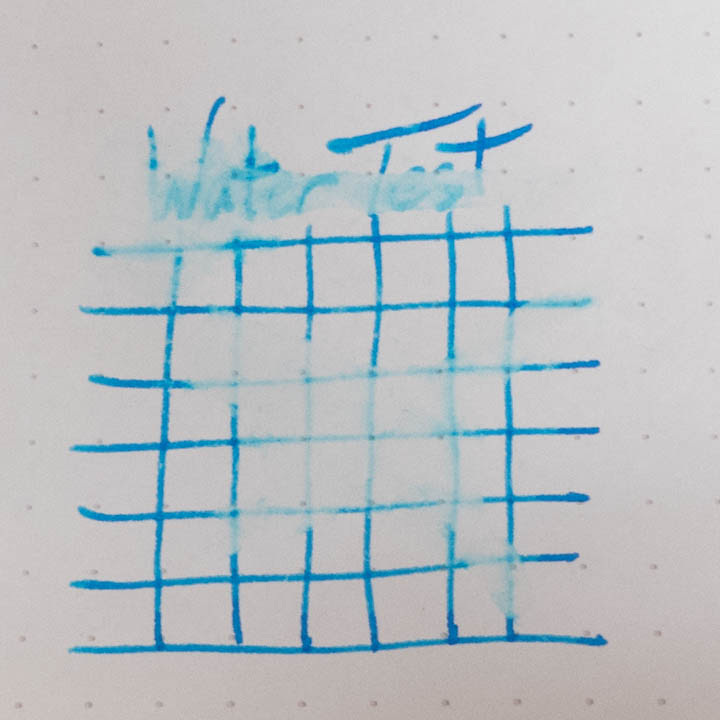 This is the only part of the pen that doesn't stand out to me. 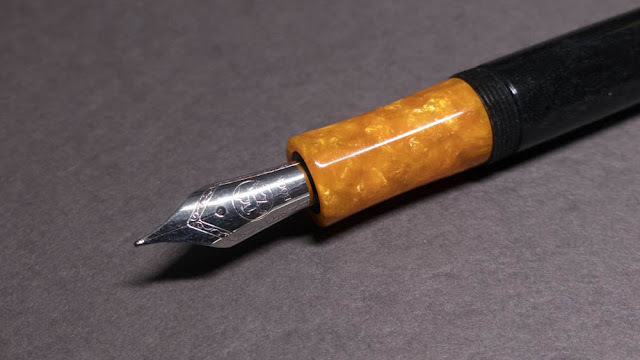 It's a pretty average Bock nib. Don't get me wrong: It's fine. It's just not a stand-out. 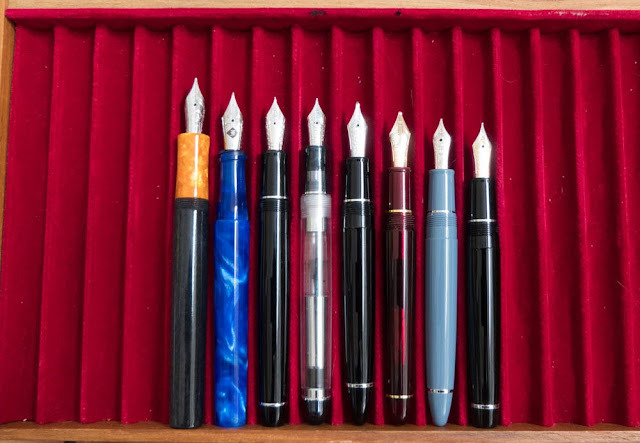 Fortunately, this is a #6 nib and you can replace it with a slew of other nibs to suit your fancy. As I said above, this is a pretty big pen. 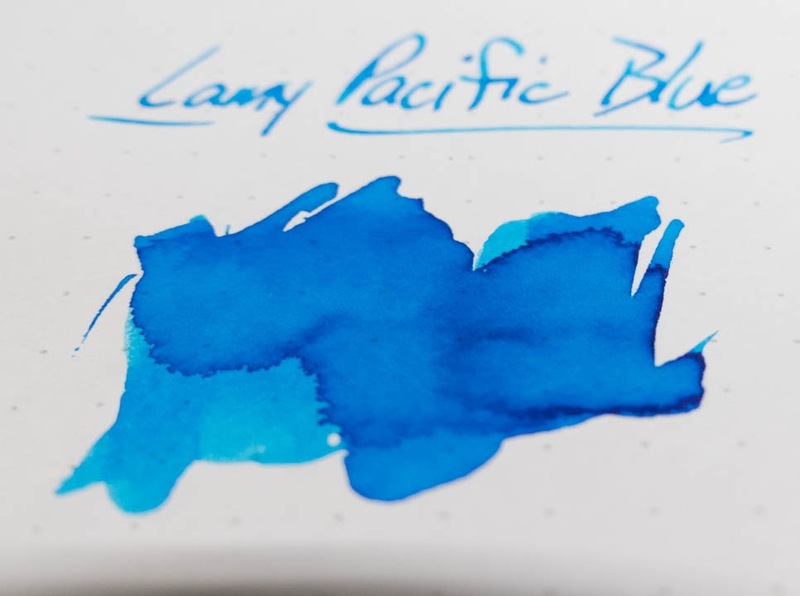 It reminds me most of the Franklin-Christoph Model 03, but it's a bit bigger in every way. 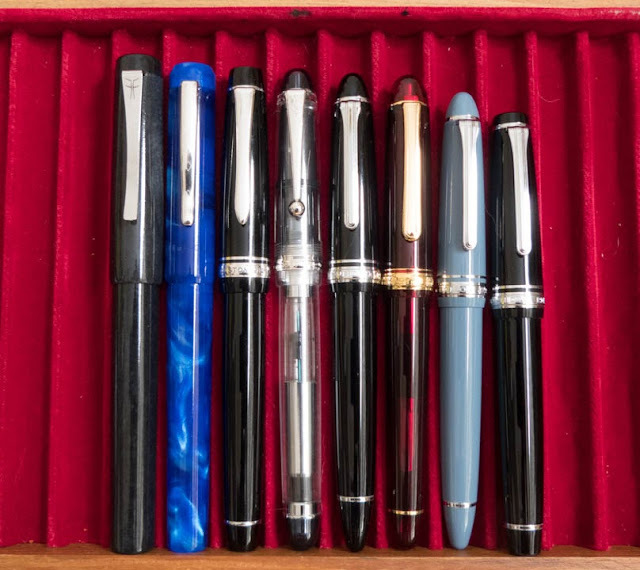 Faggionato PKS, Franklin-Christoph 03, Pilot Custom 912, Pilot Custom 74, Sailor 1911 Large, Platinum 3776, Sailor 1911s, and the Sailor Progear. I'm not showing a ton of writing samples with this pen. It's a pretty standard nib that seems well-tuned.